The model has been designed for the National Gallery in London. The warhorses rear and the knights are striking against each other with their swords. 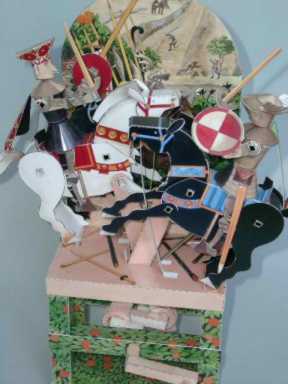 This cardboard model is based on a painting by the Italian artist Paolo Ucello (1397 - 1475). I shows the "Battle of San Romano" between Sienna and Florence in the year 1432.